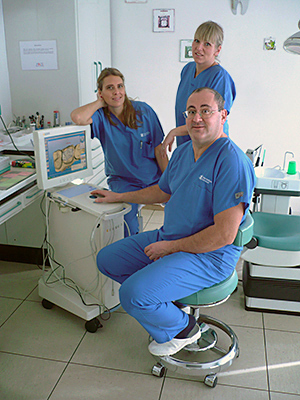 Dr. Avi's Dental Practice has been around for 29 years. Our patients are mostly from the region, but some of them come from Verona, Modena and Livigno. Here you will find great experience, high quality of work and a family approach to the patient care. 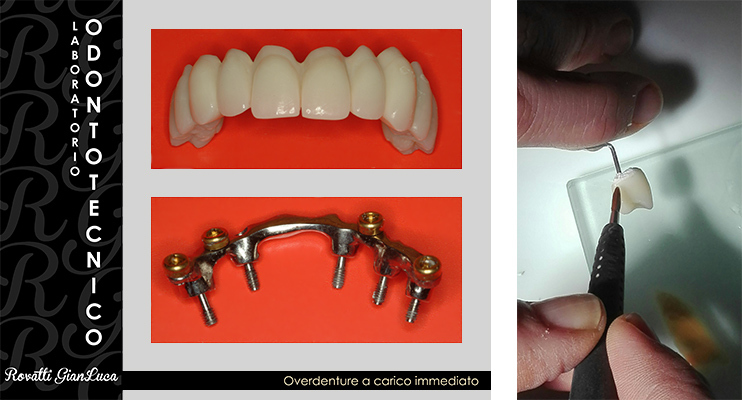 All the devices and the equipment I use in our practice are manufactured in Germany, while the materials used come from Italy, Liechtenstein, and USA. I always strive to achieve the best results in my work, and I never promise what is technically unreachable. Therefore, I always explain to my patients what is to be done, step by step, and the eventual consequences of the treatment: I always try to make sure that my patients are properly and accurately informed on all the post surgical procedures, the oral care to be taken and the eventual need for subsequent checkups. I request the dental technicians who collaborate with me to be accurate and punctual; an agreement on every technical detail is needed, before starting prosthetic rehabilitation. thanks to my technicians we can often offer temporary or definitive prosthetic rehabilitation on implants as soon as possible. Mine is a private dental practice, not a low cost structure, and the prices are in line with the market average: eventually they may be cheaper or higher, depending on the complexity or technical issues the case may have. When this is foreseeable, I anticipate it verbally. Payment is usually required in two or three installments (at the beginning, during and at the end of the therapy). Changes in payments are to be agreed upon personally, the checks carried out at the end of a therapy cycle are always free of charge.